Gymja Warrior is committed to supporting our members, our coaches, and our communities through fundraising, charitable donations, and support. 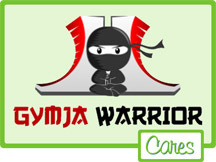 If you have a charity or cause that we can care about let us know at info@gymjawarrior.com! CLICK HERE TO JOIN OUR WALKING TEAM OR DONATE! Look for us again this year at the 2019 Boston Heart Walk Saturday September 7! Not only will we be the official finish line youth obstacle course, but we have a walking team and a goal to raise $2500! We hope you’ll join our fundraising walking team, but if not please consider a donation. EVEN THOUGH THE WALK IS OVER THERE’S STILL TIME TO DONATE! We’re honored to help a cause that’s personal to our own coach Kellsea who suffers from Retinitis Pigmentosa. RP is a genetic disorder that causes loss of vision most notably as tunnel vision, decreased night vision, and even blindness. 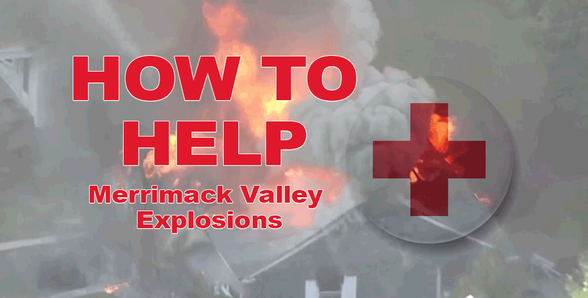 Many of us know someone directly or indirectly impacted by the explosions across Merrimack Valley. We will have a few open gyms with ALL profits donated directly to help the victims. You can either come to one of the charity open gyms or give directly below. We partnered with the Essex County Community Foundation with all profits to benefit the Greater Lawrence Disaster Relief Fund. 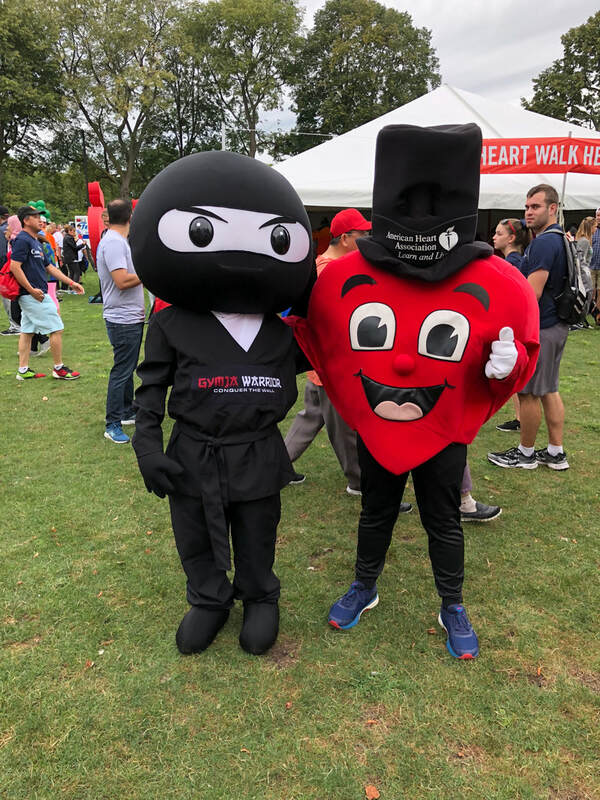 We were thrilled to be a part of this year’s Boston Heart Walk bringing Gymja2Go and a special guest appearance from Shuriken. It was an amazing day and brought lots of funding and awareness for the American Heart Association. Look to join our walking team in 2019! !